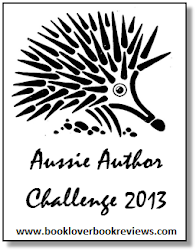 Another novel for the Australian Women Writers challenge: March by Geraldine Brooks. Sometimes we forget that Brooks is Australian, because she writes very broadly, and very rarely has an Australian theme. 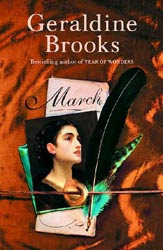 March won the 2006 Pulitzer Price for fiction, which makes Brooks even more extraordinary. There was something very familiar about this novel. It was verging on a feeling of deja vu throughout the book. I couldn't quite predict what would happen, but I had the 'oh, yeah' moments, as if I had read it before. I haven't read it before, though. It was only published in 2005 (I thought I had started reading it in high school but given up, but it was published too recently for that!). This novel mirrors the classic novel Little Women by Louisa May Alcott. I haven't read Little Women before, and I didn't want to until I had read March, so I have listed it to My Classics Club List. 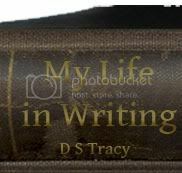 It is written in the first person from the perspective of the absent father, Mr March, during the American Civil War. There is only part of the book which is written in the first person from the perspective of Mrs March, whilst Mr March is too sick to narrate. 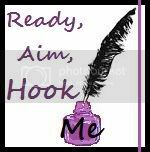 The writing is very good, so much so that you don't notice the writing - it is just a swirl of story that evaporates from the pages as you read. It's also a unique view of the American Civil War (which I am not all that interested in), as I think I've noted before in this blog. So a good way of getting a bit of an inadvertent history lesson. Brooks is so unique with everything she writes, I can't pick her style. I enjoyed People of the Book more, because it was challenging and such a strange topic for me. But March was so well written, so smooth and flowing, so easy to read - maybe that's why I didn't enjoy it quite as much, because I didn't make an effort to read it. Or perhaps I enjoyed People of the Book more because the topic interested me more. Either way, Brooks is one of Australia's greatest writers.